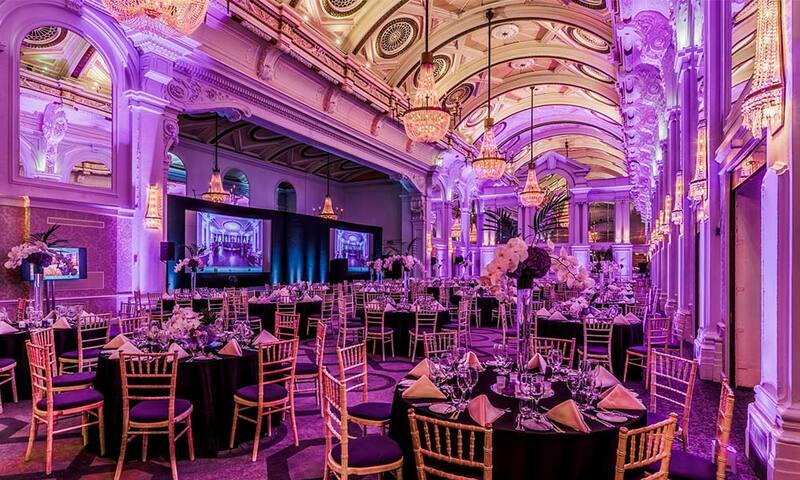 Set in Covent Garden, the Grand Connaught Rooms is one of the most stylish central London party venues. Perfect for a Christmas party, large or small with capacity for up to 750 standing or 450 for a seated event, it is the only choice when you really want to impress your guests! 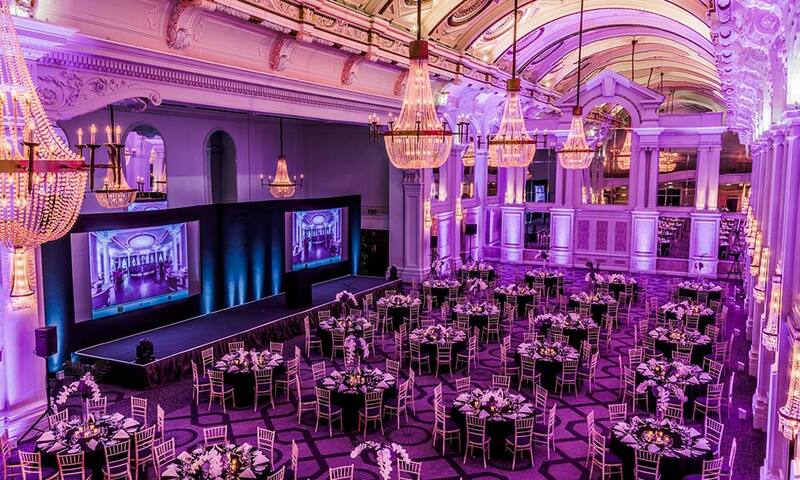 Palatial surroundings—including arched ceilings, beautiful wood paneling, and crystal chandeliers—coupled with a superb location minutes from the heart of Covent Garden, make The Grand Connaught Rooms a must for your party venue list. 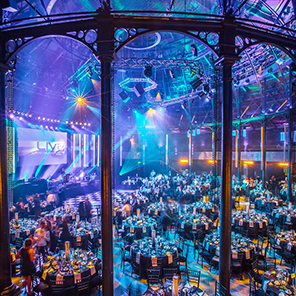 Arched ornate ceilings, beautiful wood-panelling and dramatic chandeliers, the Grand Hall creates an impressive event space for up to 750 guests theatre style and 1,500 guests for a drinks reception. For smaller events, there are a number of executive rooms, often with original features and oak-panelling, whilst a suite of modern training rooms is also available. Outside, on the 5th floor, an exclusive roof terrace, with views of the city, is available for summer parties and receptions. The Cornwall Suite can accommodate up to 250 guests for a banquet dinner or 200 for a dinner dance. Situated on the second floor with natural daylight and designed to have a real sense of wow with its beautiful intricate designs. 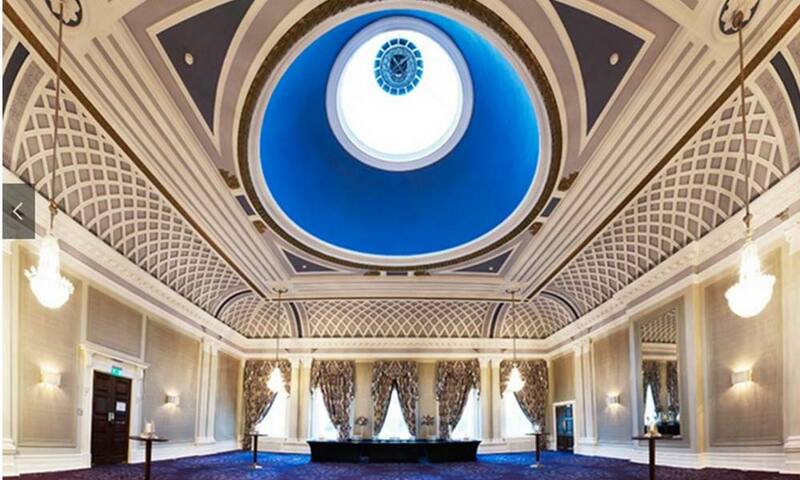 The breathtaking ornate domed ceiling and contemporary furnishings with decadent colours makes the Crown Suite a perfect room for a drinks reception. 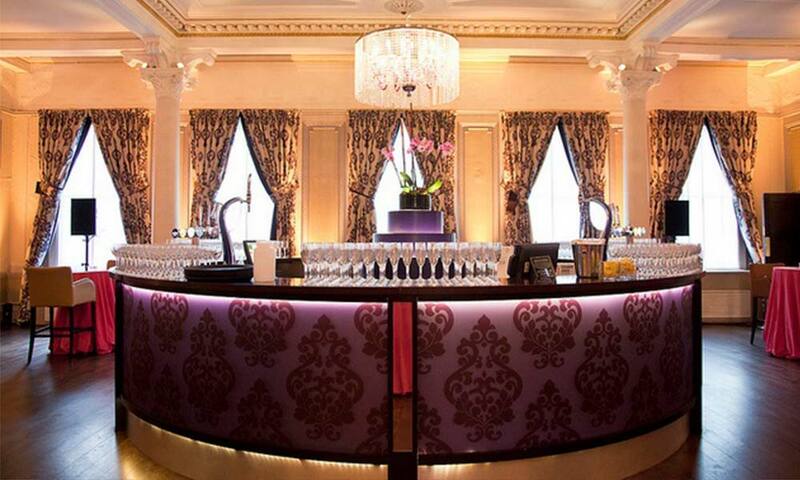 The Crown can accommodate up to 250 for a drinks reception. This room is perfectly situated next to The Cornwall Suite and can be used in conjunction with it. 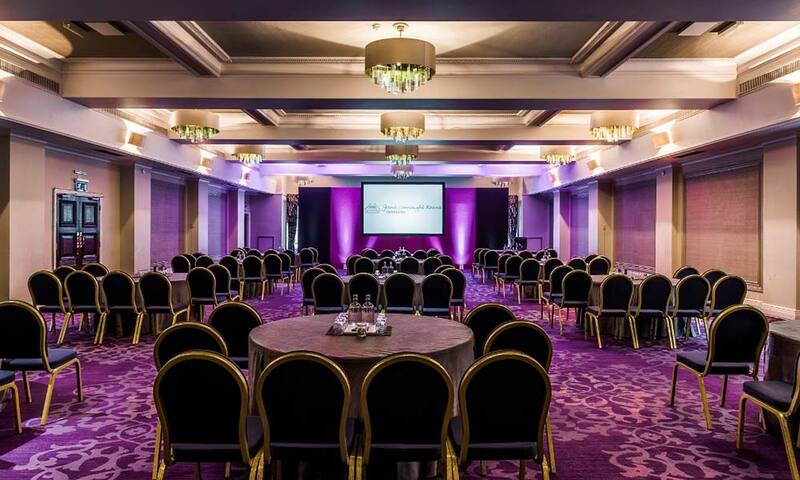 The Edinburgh Suite is located on the first floor with natural daylight and designed to incorporate the architecture and heritage of the venue. 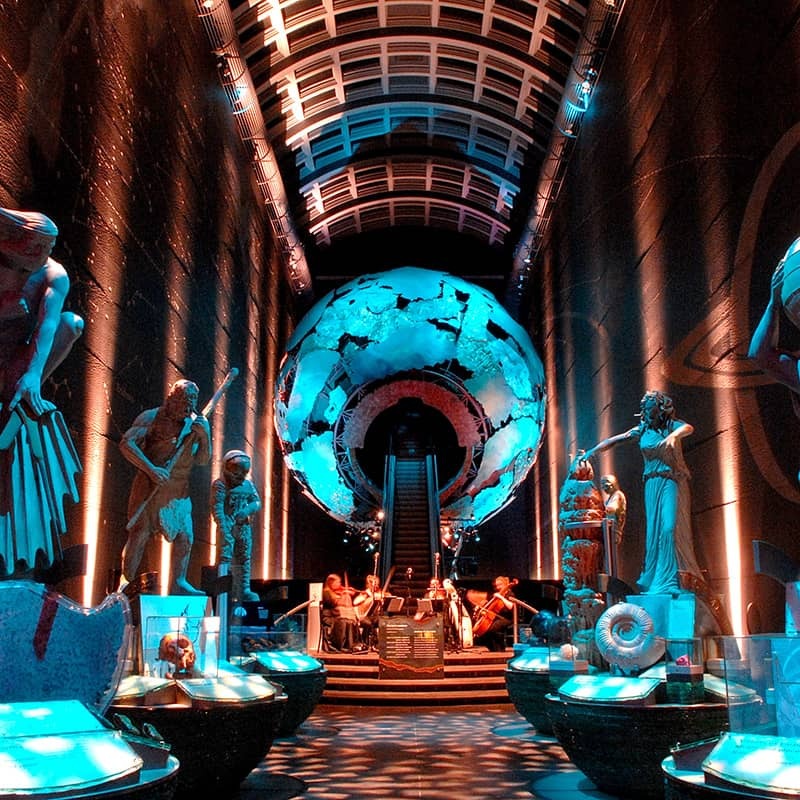 This room can accommodate up to 250 guests for a banquet dinner or 200 for a dinner dance. 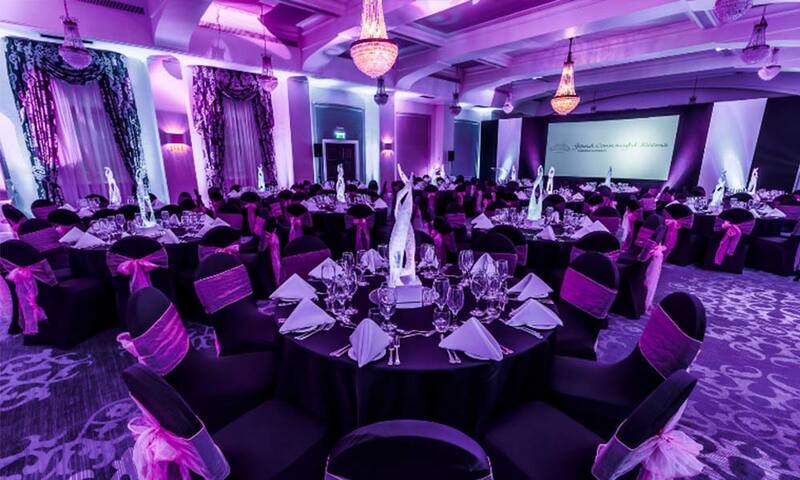 The Drawing Room, located adjacent to the Edinburgh Suite is designed with a dramatic and theatrical feel, magnificent lighting and with a self-contained with a circular bar for pre and post-event drinks. 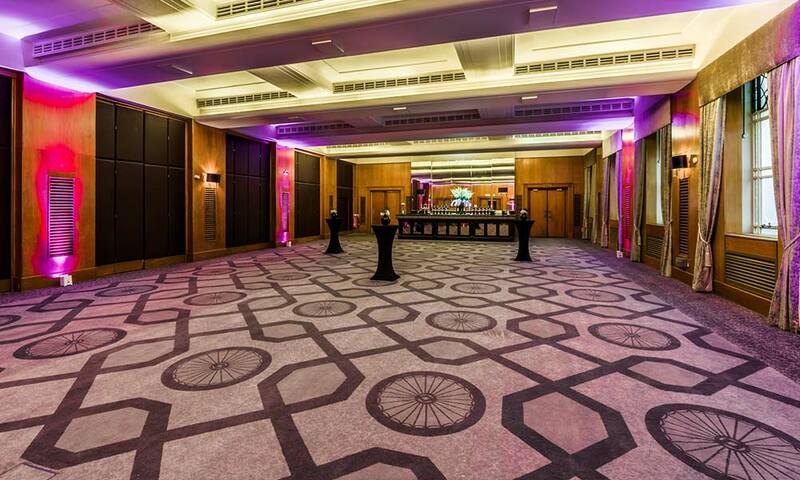 This room can accommodate up to 250 guests for a drinks reception. Where are the Grand Connaught Rooms?